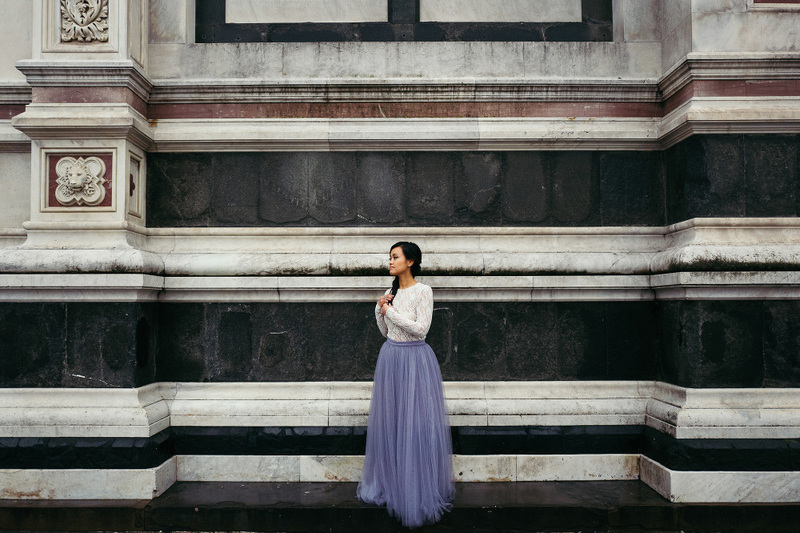 This is Julie and Alex winter destination engagement in Florence, on January 2016. We spent a lovely morning in their company through the little streets of this incredible city, walking from Piazza Santa Croce, to the Uffizi Museum and near the Arno river and the Ponte Vecchio sight. They are living in Boston, Alex and Julie are a lovely and shiny couple met during the college period thanks to a common friend, Dorian. 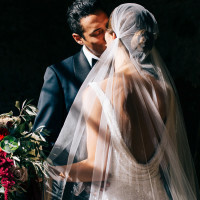 They are going to get married in Florence this summer in a special castle near the city and we definitely can’t wait to meet them again soon. During our morning together we spoke a lot about what is important for them, what they believe in and what is their lifestyle. As often happens, we realize that we have many things in common with the people we meet with our work, often friendships borns and we have the feeling to enrich our lives with all this sharing. Alex and Julie are certainly a beautiful couple, among them were many knowing glances and there were so much complicity, things that makes unique a couple. Their story is so fascinating and we, as storytellers, couldn’t not ask it for. They can be heroes, as David Bowie was singing. 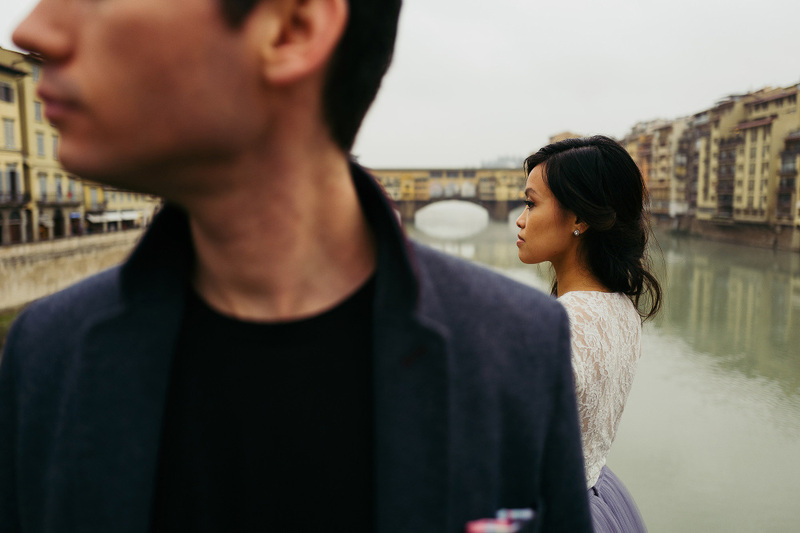 This is a selection of their best engagement pictures in Florence, Tuscany.